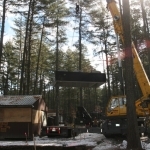 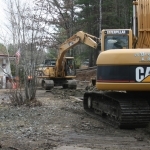 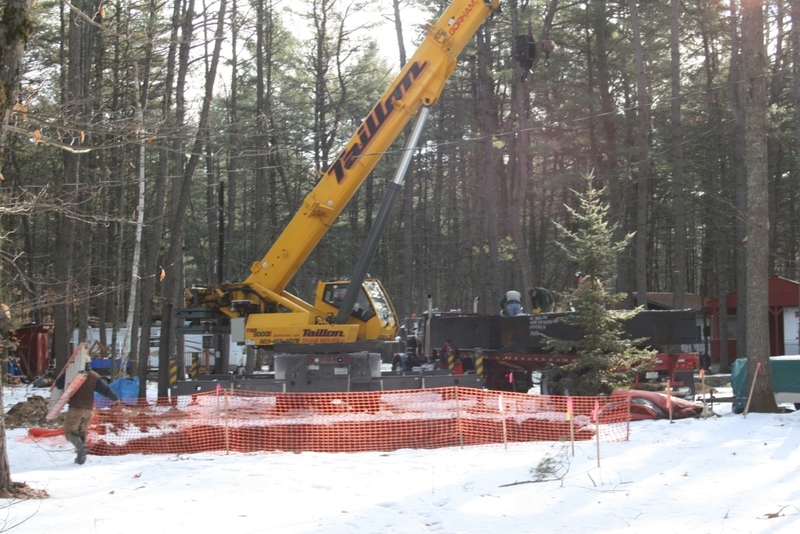 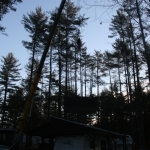 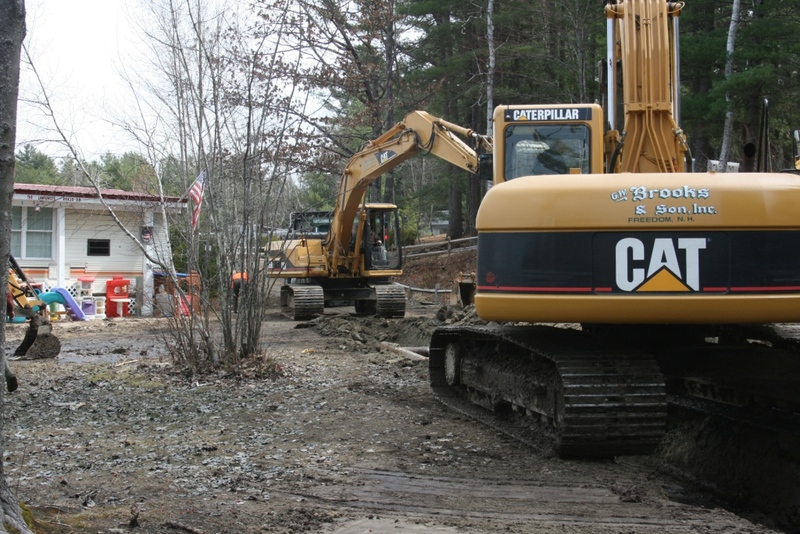 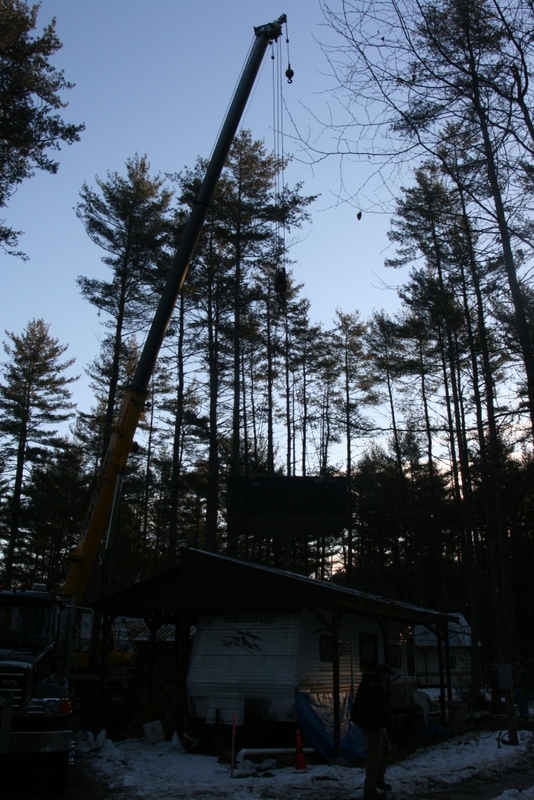 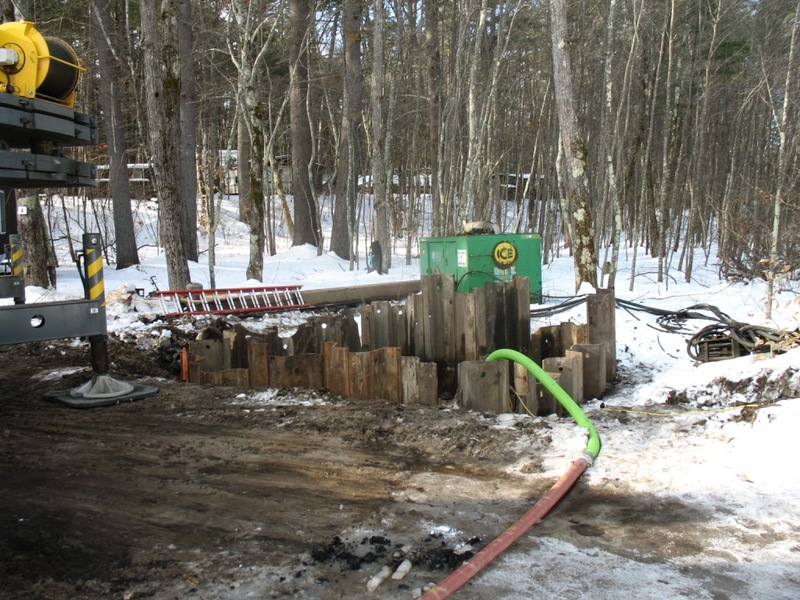 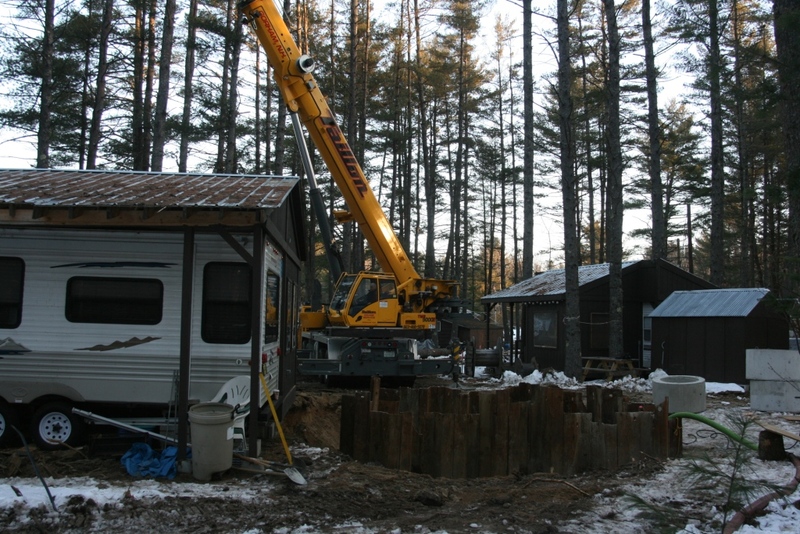 The project facility is a 180+ site campground situated on Ossipee Lake. 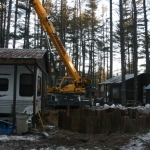 The facility is extremely active during the summer with reduced activities during the fall and spring. 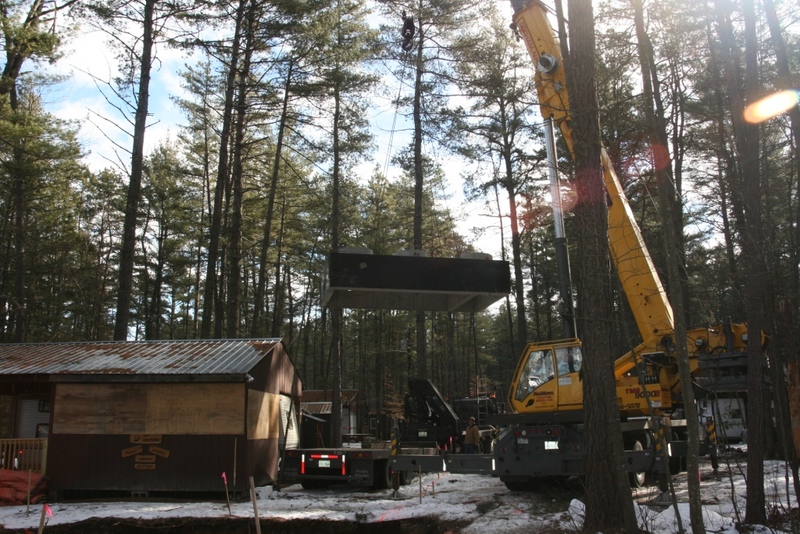 The project was an ongoing effort of the owners to improve the facilities on a site which is arguably one of the most desirable locations on Leavitt Bay of Ossipee Lake with views across the lake of Mount Chocorua. 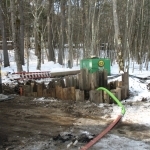 Issue: Discovery of unexpectedly high water tables within the site. 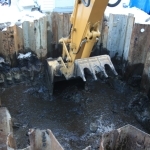 Solution: Although we expected to find a high water table near the lake it was later discovered that the water table was elevated well away from the lake and well above the shoreline water levels. 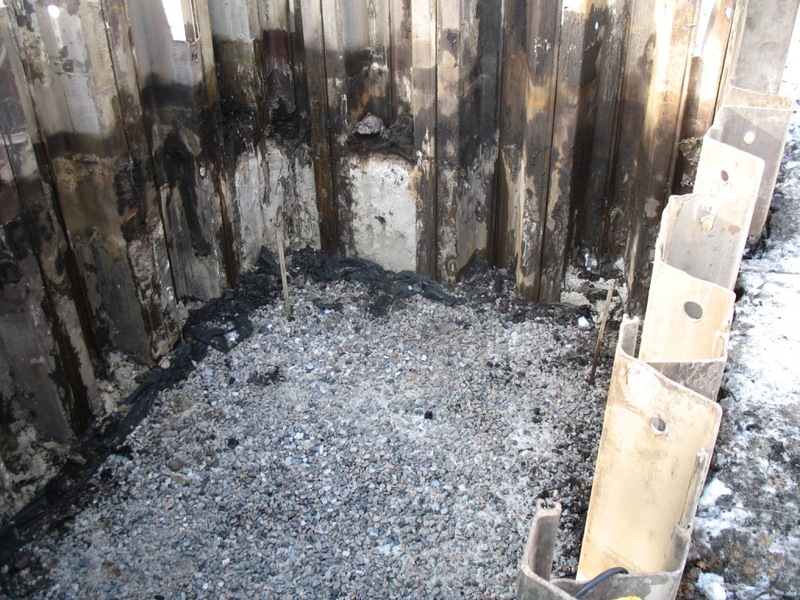 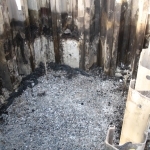 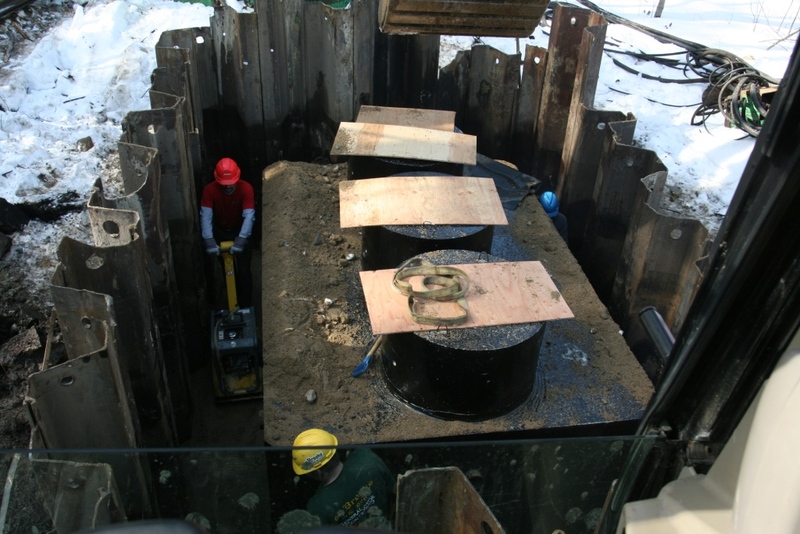 Through the use of sheet-pile and de-watering efforts we were able to install the tanks as necessary. 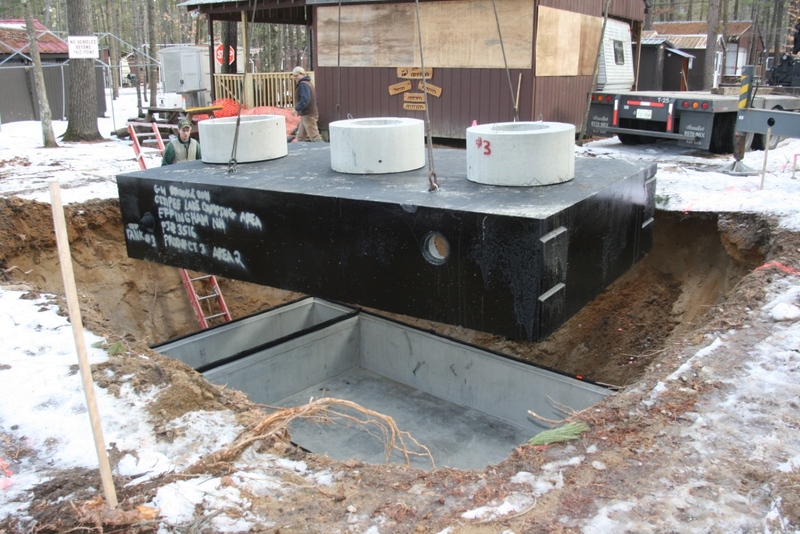 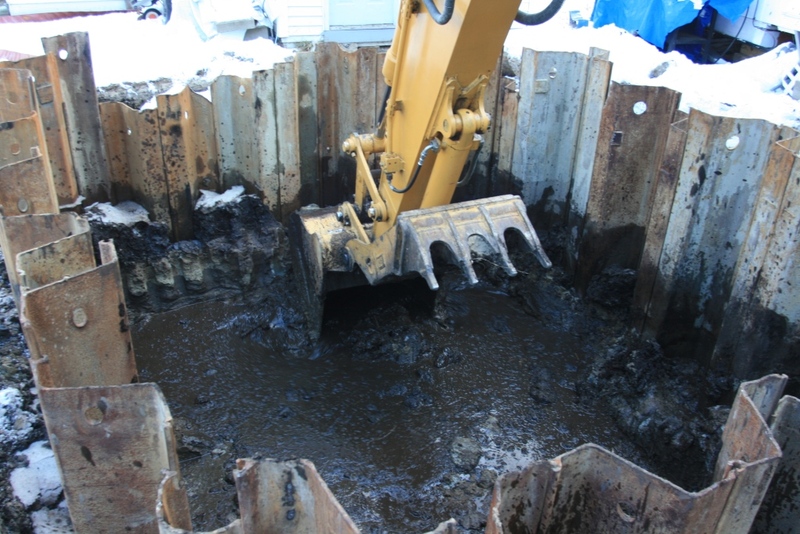 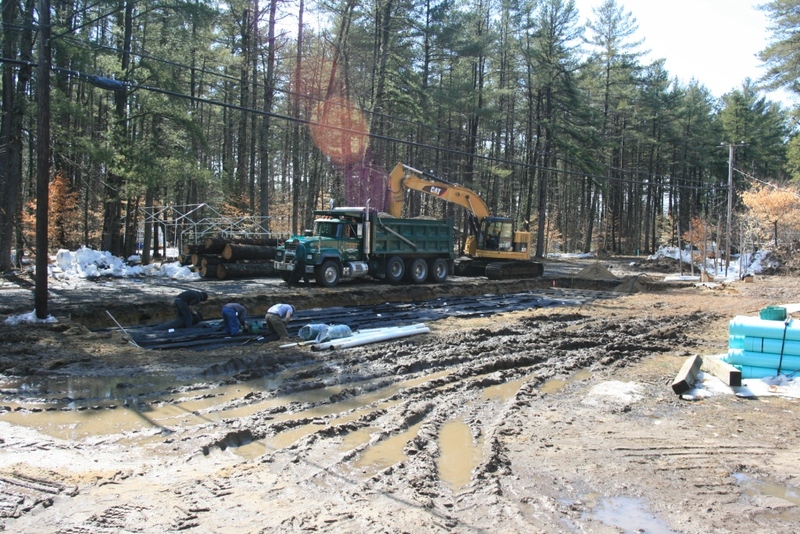 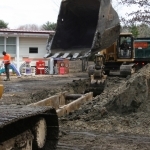 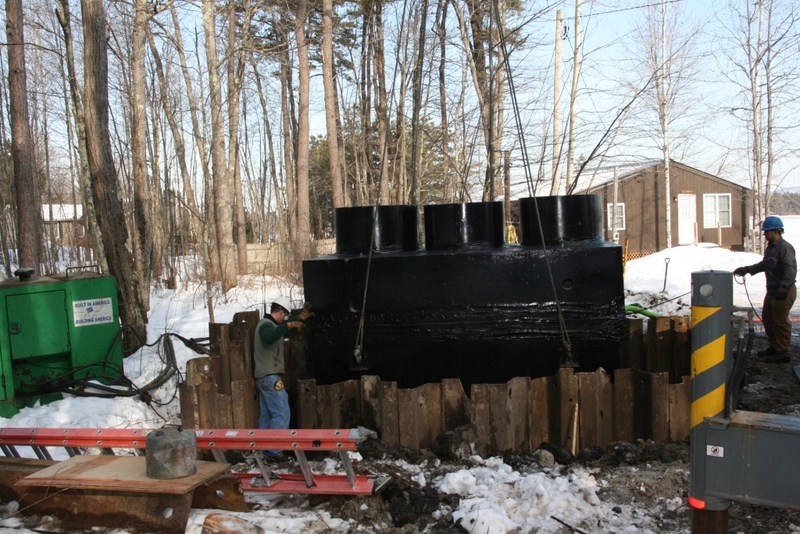 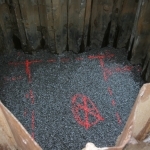 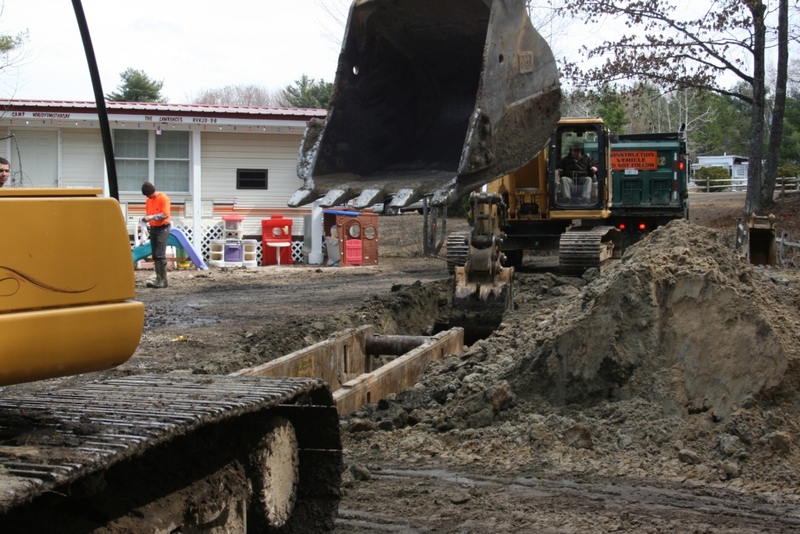 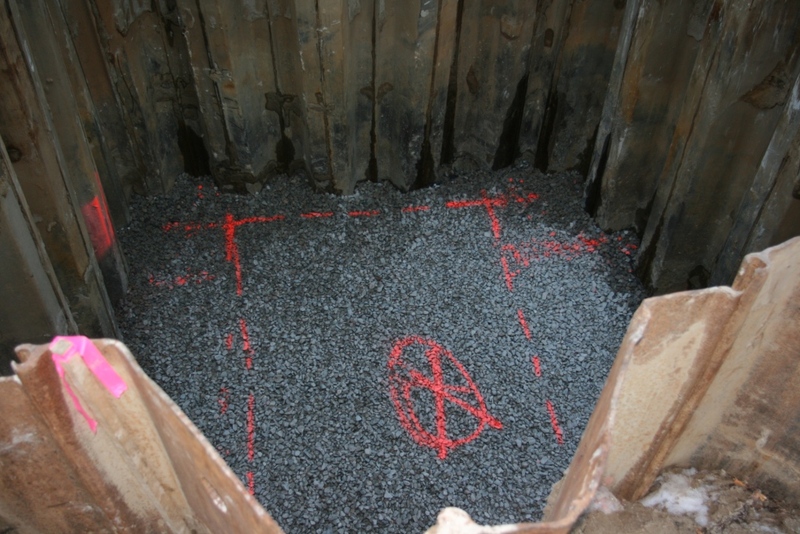 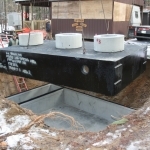 To combat potential water infiltration to the septic systems, tanks within the water table were delivered as single units and coated as single units. 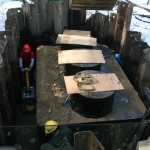 All tanks received bolted and gasket covers to further reduce potential storm-water infiltration.